If you hang around with some new product development (NPD) people, it won't be very long before someone reverently invokes the name "Cooper." This is a reference to Robert G. Cooper, widely recognized as an NPD guru, and father of the Stage-Gate process, who has much to contribute to the discipline of PPM. The typical NPD project consists of a series of steps starting with project conception and leading to product delivery/launch. These steps can usually be grouped into a series of phases. Each phase will have a number of activities, possibly performed in multiple disciplines, leading to an interim milestone or goal. In the Stage-Gate process, each phase (called a stage) is separated by a decision point (called a gate). As described by Cooper for the NPD environment, Stage-Gate is applied across the entire project life cycle. Conditions for passing through a gate are defined. At the end of a stage, a cross-functional team evaluates the status against the pass/no-pass conditions. I believe that the process can be expanded in the development and testing stages to improve management of projects during those phases. This would entail declaring development milestones as mini-gates that would be monitored by the PMO. In this way, the project doesn't have to wait until development is completed before evaluating it for a kill or delay decision. Therefore, active projects within the portfolio continue to be subject to a Stage-Gate control process. Just as there is a set of criteria for determining if the project is to be selected for the active portfolio, each gate will have a set of metrics by which the project can be evaluated. The PMO reviews each project at each gate, before making a go/no-go recommendation to the governance council. Funding may be cut off or the project put on hold if the evaluation data shows that the project performance is not supporting the original plan or is no longer making sound use of limited resources. Other reasons for killing the project include technical limitations or failure, a change in financial considerations, or inability to meet the allowable time window. The governance council is the gatekeeper. The council is made up of senior representatives of the functions responsible for business success. Evaluations are made against predetermined criteria and decisions are made by comparing the metrics to those criteria. Gut feelings or territorial protectionism should be resisted. Stage-Gate techniques need not be limited to NPD projects. 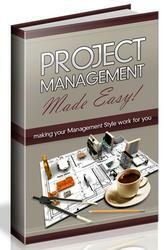 These practices can be applied effectively to any type of project that has identifiable phases.